The message we have waited for so long: the Ministry of ‘Beni Culturali’ and Fiat have come to an agreement and the museum will reopen! October this year the work on the museum will commence. Restoration, renewal and expansion will be according to a masterplan that was already presented in 2007, yet simplified. Time is not on the museum’s side, it seems that the work will not be finished by May 2015, when the Expo opens. But as it will open in the summer of 2015, it still can welcome many of the Expo’s visitors. Many details from the agreement haven’t been disclosed, except for an inportant one: the bond (preventing any of the cars being sold or relocated permanently) remains untouched. Wowo…great message! I saw the museum many years ago! It was great, ALFA ROMEO is great! Thanks to all who had worked for the reopening! Thanks! des Museo Alfa Romeo, Danke !! Super! Mein Mann wird nächstes Jahr 50, das wird sein Geschenk!! Der flippt aus. Endlich. Eine der besten Nachrichten 2014 von Alfa. 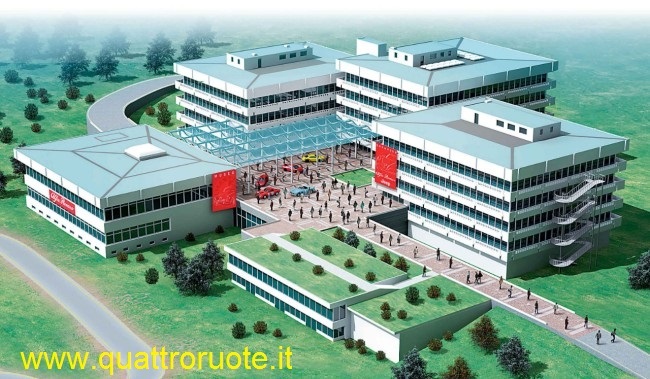 Arese wir sehen uns 2016! Grüße an alle Alfisti aus Dessau. Great news: eventually it comes up. Wonderful, it is a success of Italy. Ford said about her : Chapeau! Tolle Nachricht, freu mich auf die Wiedereröffnung. Wir sehen uns 2015!!!!!. Grüsse an alle Alfisti. Great news, looking forward to the reopening. We’ll see you in 2015 !!!!!. Greetings to all Alfisti.